Most people pack their iPads when they travel so they can play games or watch movies on the plane. I’ve been taking the popular tablet on all my recent trips to make sketches of the places I visit. Using my drawing app of choice, ProCreate, and a stylus, Wacom Intuos or Apple Pencil, I’ve made iPad sketches near and far. 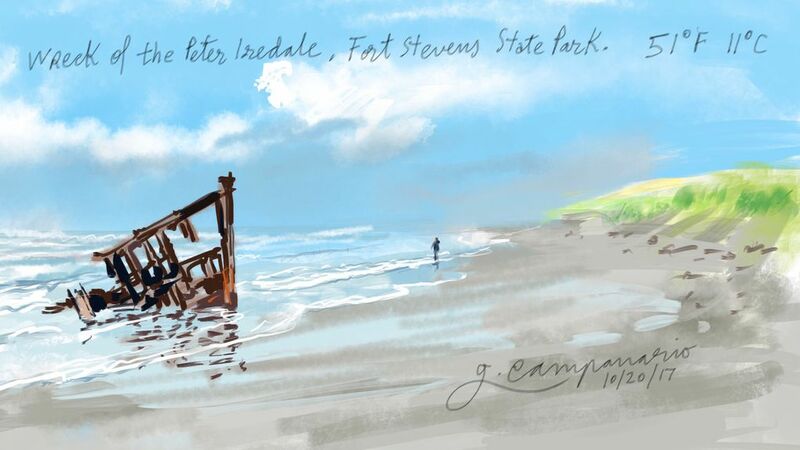 Sketching on an iPad during a recent trip to the Oregon coast. 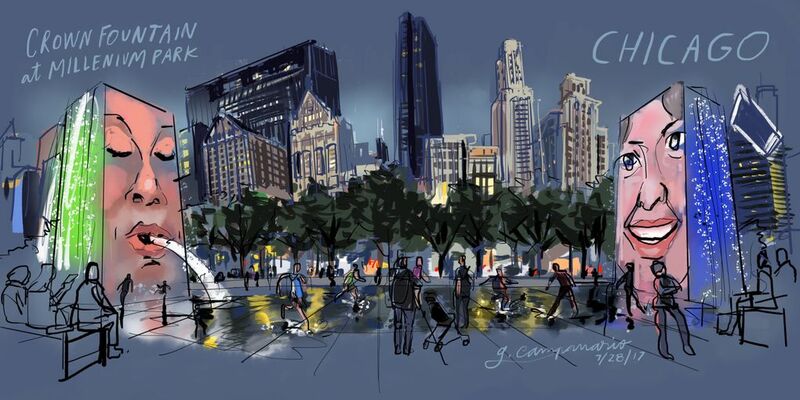 On a hot summer night in Chicago, I drew a panorama of Crown Fountain at Millennium Park. 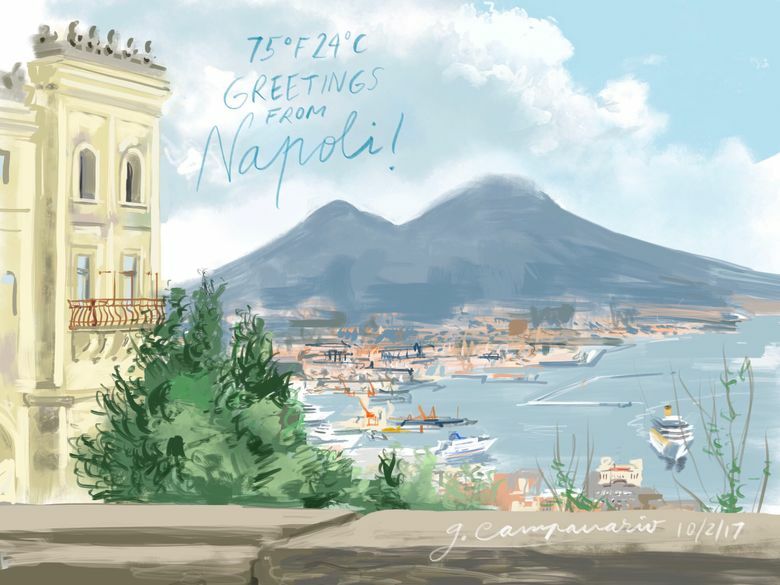 In Italy, I painted a view of the Vesuvius volcano from a hilltop castle overlooking the Port of Naples. 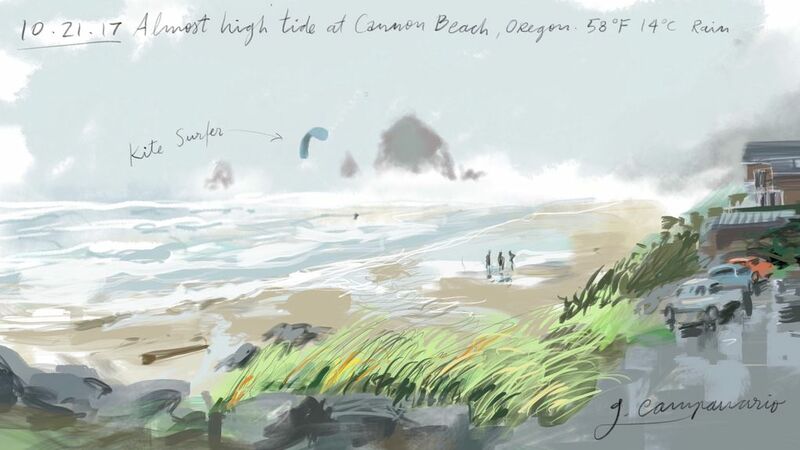 Just a few weeks ago in Cannon Beach, Oregon, I made a sketch of Haystack Rock as the tide rose and the wind picked up speed, lifting a kite surfer over the crashing waves. 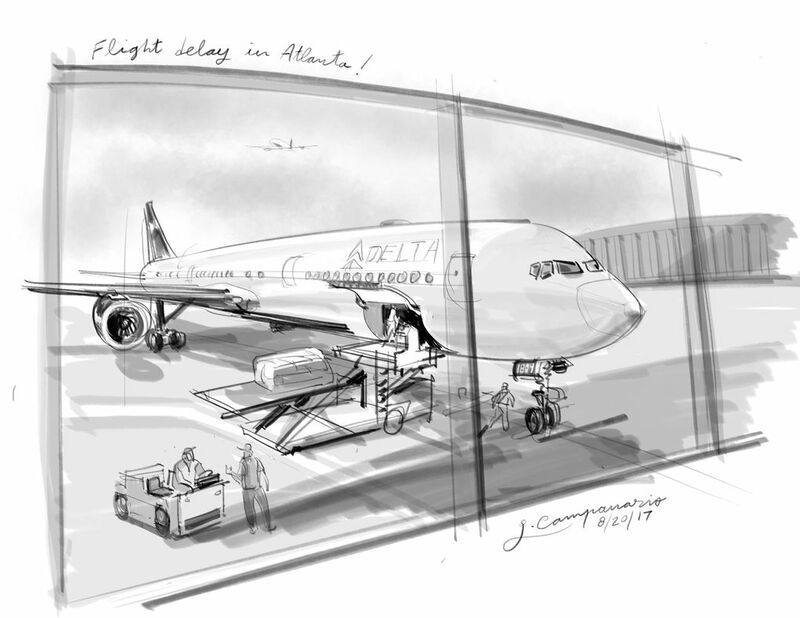 Even during a layover in Atlanta, I entertained myself making an iPad sketch of the Delta airplane my family and I were waiting to board. It was hard not to feel like I was cheating on the traditional sketching tools I’ve used for years, including my trusty pocket sketchbook. But I love how convenient iPad sketching is. I would need more than a large suitcase to pack all the real-life pens, brushes and paints that are available digitally inside the ProCreate app. Drawing on iPad also means I don’t have to rely on perfect weather conditions for watercolors to dry. 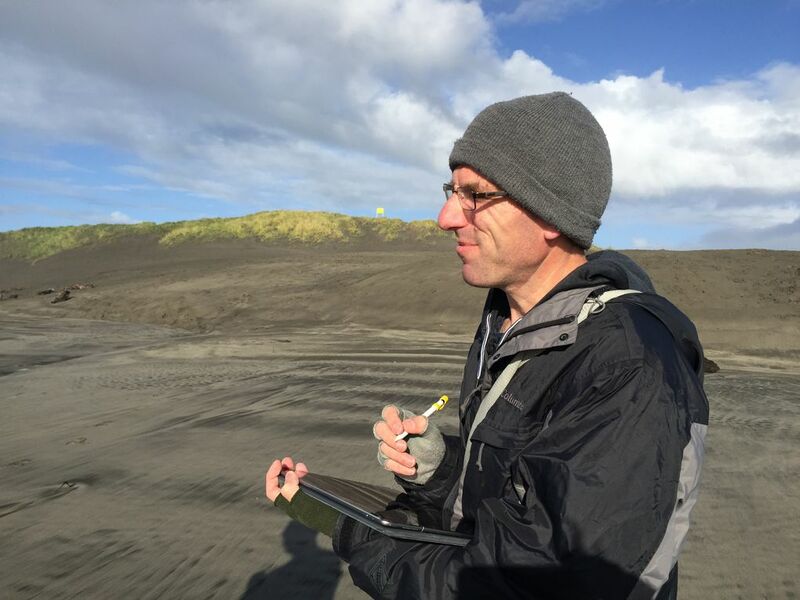 Using digital tools for travel sketching doesn’t mean you have to give up all traditional media. My pocket sketchbook still comes with me everywhere I go. Only a few years ago, sketching on tablets still felt like drawing with a big stick, but tools like the Apple Pencil have dramatically improved the creative possibilities of the medium. The Pencil’s tip responds to pressure and tilting with incredible accuracy, making the drawing experience feel quite natural. Digital sketching is also ideal for sharing vacation sketches on social media. I can post directly from the iPad as soon as I get to a wi-fi spot, or almost instantly if I transfer them to my iPhone via AirDrop. 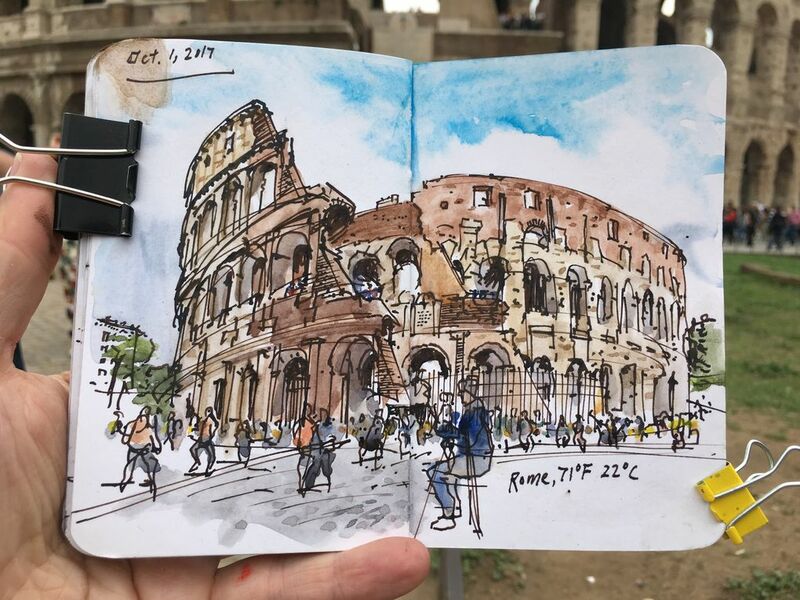 It’s true that digital sketches can’t match the charm of drawings made with real ink and paint on real paper, but travel sketching is more about making memories than masterpieces. When I look back at these digital sketches from my trips, I remember those moments just as vividly as if I had drawn them on my sketchbook. And I can always print the sketch on nice paper if I want to hold the artwork in my hands or frame it as a vacation souvenir.